According to a recent study, two thirds of Americans have the opinion that it is important to plan for long-term care, but only 44 percent have taken steps in this direction. The study also showed that the few who are trying to plan ahead for long-term care are only adding money to their savings accounts, rather than making specific arrangements. In addition to financial planning it is recommended that seniors and their families make preparations for home care in advance. This includes interviewing local agencies and asking what type of homecare software or homecare systems they offer for point-of-care visibility. One reason many seniors neglect planning ahead for long-term care is the assumption that their children or grandchildren will look after them as they age. Unfortunately, not all family members are able to care for their older loved ones as much – or as often- as they really need. This is where an in-home caregiver can really be beneficial. Quality homecare systems and homecare software such as ClearCare Online provides real-time transparency for family members who can’t be there themselves. Other individuals underestimate the cost of long-term care or misunderstand how much Medicaid or Medicare will cover. This leads many to be woefully underprepared – especially if they end up in a nursing home facility, which can cost anywhere between $85,000 to $120,000 each year. Some families mistakenly believe that nursing homes are their only option but this is often untrue. Home care is a more reasonable alternative than some may think, and is more affordable as well. Web-based homecare systems and homecare software programs allow more seniors to live comfortably and safely at home than ever before. 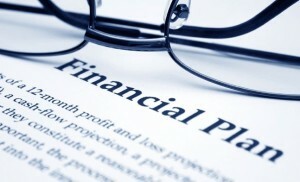 Another aspect of financial planning to consider is long-term care insurance, but this must be researched carefully. Seniors can end up paying more than is really necessary, or end up finding out their policies don’t actually cover what they thought. Before purchasing a policy, consult with a financial planner or insurance agency that specializes in home care so you can take advantage of homecare systems or homecare software. The financial details of long-term care are more significant than most people realize. With a little forethought and advanced planning, those details not have to be overwhelming. Homecare systems and homecare software like ClearCare Online are available to help ease seniors’ transition to home care and relieve the financial burden off family members. What will you do with the money you save? Drop us a note and let us know!